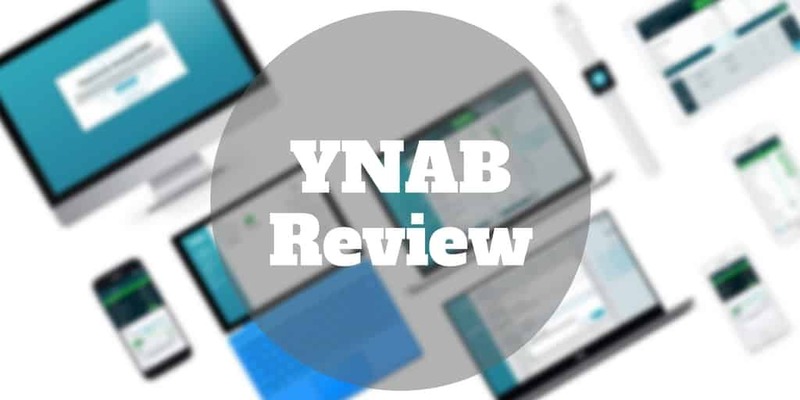 Home › Budgeting Tools › YNAB Review 2019 – Yes, You Need A Budget! 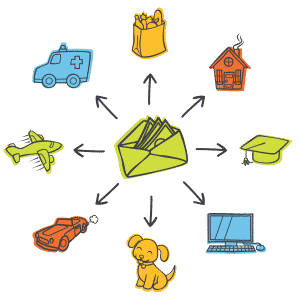 YNAB Review 2019 – Yes, You Need A Budget! It’s almost impossible not to fall in love with the budgeting tool called You Need A Budget, or YNAB for short. A quick bounce around the YNAB website will be enough to give you positive vibes that this is a company that knows how to make budgeting fun. YNAB is an online budgeting software with humble roots that has grown into one of the most popular destinations online to plan your monthly finances. 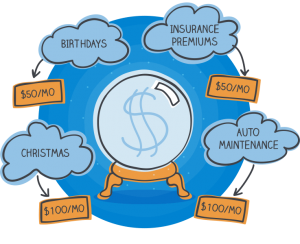 It’s free to give it a shot (for 34 days) and YNAB claims the average user saves about $600 by month two and $6,000 per year using the tool – a handsome return on investment considering the monthly cost works out to be just $4.17 after the free trial. More than tools, you get daily workshops which span a range of helpful topics to improve your finances; everything from mastering credit cards to paying down debt is covered. Plus, as a community member, you receive extensive support and resources, including a weekly newsletter, 250+ podcasts about budgeting smarter, and weekly videos. As budgeting tools go, it’s hard to find a whole lot not to like about YNAB, so if you struggle to allocate your paycheck well, or ever found yourself short of money to pay bills, you won’t go far wrong by checking it out. 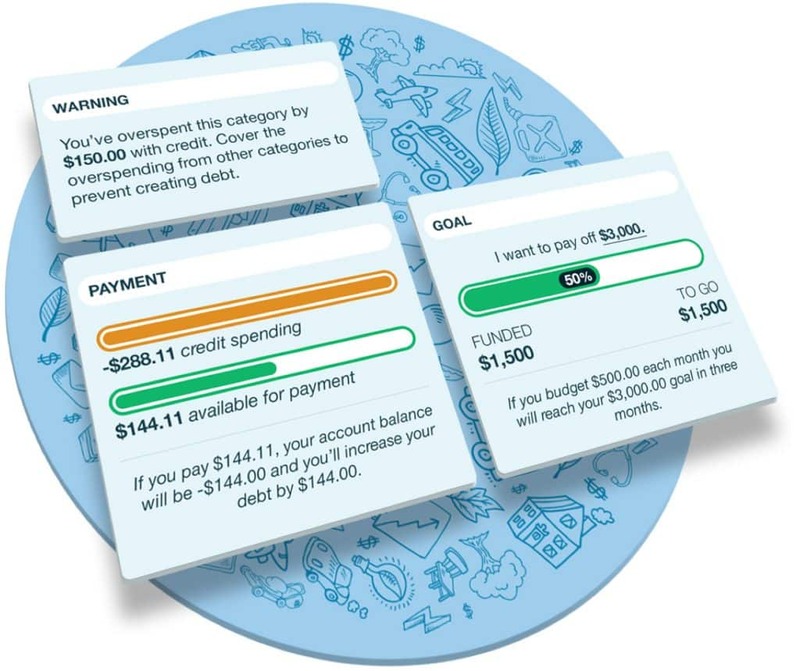 YNAB is a budgeting software designed to help you save more and pay down debt. The company started out more humbly as a project for husband and wife team, Jesse and Julie, to pay for food, shelter, and books while in college. The simple rules worked so well for the couple that they decided to share their budgeting approach with others, who also found it helpful in paying off debt and spending smarter. And from there the rest is history as they say: YouNeedABudget launched formally as a company in 2004! Since it began, YNAB has grown to a 50+ employee business that serves clients in the U.S. and internationally, and proudly claims that almost 4 out of every 5 employees started out as YNAB customers. Connect your bank accounts to YNAB, which syncs all your financial information across devices, automatically categorizes your spending, and tracks your progress towards financial goals. The first step in getting started with YNAB is to connect your bank accounts. Whether you use Chase, Bank of America, PNC, Wells Fargo, or any one of over 12,000 other banks, YNAB syncs with them all, so all your accounts are visible in one easy-to-view dashboard. Whether you are online or on-the-go, YNAB syncs all your financial information across devices, so you can share easily with a partner or simply check online or via your iPhone or Android device without worrying about version control issues. Once you have your account set up, you can set financial goals, such as to pay down debt or save a specific amount. For example, you can set a goal to pay down $3,000 worth of debt over the next 3 months. You will also be alerted when you have spent more than you allocated to a particular category. Where YNAB shines is in goal-setting. It turns your financial budgeting into a virtual game where you can track your progress against specific achievable outcomes. The idea is to allocate money towards regular bills, such as auto insurance, rent or mortgage, internet, cell phone, gas & electric, and so on. Then YNAB helps you to track your progress in percentage terms compared to each goal. As you continually make progress, you can view on pie-charts and graphs how you are doing, as well as how you are allocating money to one category compared to others. For example, you can see how much of your income is being spent on home & utilities, as well as your total spending for the current month and average monthly spending. YNAB has created four rules designed to help you spend less than you earn, so when unexpected expenses crop up, you won’t have the same financial concerns or stresses. To make sure you stay on track with your budgeting, YNAB specifies rules that re-shape your spending habits and probably how you think about money. It starts by deciding what you want to do with money when you get it. As simple as that seems, most people get money and, as spending opportunities crop up, they fritter it away haphazardly. YNAB encourages you to essentially put a boundary around your money. So, if you had $3,000, maybe $100 is allocated to your phone bill, $1,400 to a mortgage payment, and $180 to utilities, and so on. When you pre-assign your dollars to known payments, you know precisely how much you have available to treat yourself to new purchases, entertainment, or dining out. The big idea behind Rule One is that if you get a work bonus say of $1,000, you don’t rush out to buy a luxurious watch and a new pair of shoes only to get hit with a bill you can’t afford a week later, but instead you should first check the amount you had put aside to spoil yourself and forego the watch purchase in order to be stress-free when the bill comes in. With Rule One successfully navigated, you can move on to Rule Two, which is summarized as: Embrace Your True Expenses. The idea is to plan for the unexpected, and true cost of living. From time to time, your car may break down, or you will take a vacation, or buy presents for loved ones, and yet none of these feature in regular monthly expenses – instead they crop up from time to time and can come as a financial shock, which may require you to resort to a credit card. 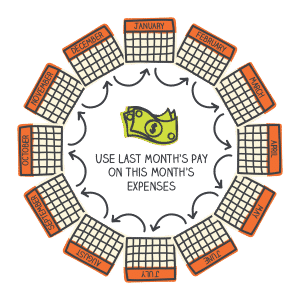 To escape the financial roller-coaster, YNAB helps you think about these predictable and large, yet infrequent, expenses as “monthly bills” similar to regular expenditures. If you did not pay attention to Rule Two, you might think you are doing really well by paying your cable bill, car payment, and food expenses but when an auto insurance payment bill arrives you are stuck for money. By putting aside an extra $100 every month or so in anticipation of the insurance bill, when it arrives it won’t come as a shock. Rule Three is labeled Roll With The Punches, and it draws its inspiration from the world of boxing. Professional boxers move their bodies in the direction of oncoming punches, and the idea is to apply the same rules when budgeting: be flexible and address overspending as it happens. Let’s say you budgeted $80 to spend on gas for the month and you also budgeted $80 to spend on buying a new pair of sneakers. It turns out that oil prices shot up and you spent $100 on gas, so you overspent by $20, what should you do? Simple! Take $20 from your sneakers budget and apply it to the amount spent on gas. Now you only have $60 to spend on sneakers but overall your budget is balanced, even though you overspent in one category. The final rule, Rule Four, is titled: Age Your Money. The big idea is to spend money you earned last month so you don’t have to stress about payments this month. The goal is to spend money that is at least 30 days old so you use last month’s pay on this month’s expenses. The other three rules are designed to help you spend less than you earn. In this final rule, you can get to the point of paying May’s rent with April’s dollars. Without Rule Four, you risk always paying bills that are due this month with the pay you earn in the current month. It means timing bills to paychecks every period, and risks becomes stressful because unexpected expenses can force you to rely on expensive financing options, such as personal loans or credit card debt. By using Rule Four, the idea is to be stress free because paying bills that are due causes no concern because you have money to spare this month. YNAB is a low-cost budgeting tool that provides you a free trial for 34 days and syncs with approximately 12,000 banks, though it doesn’t track investments. ✅ Low Cost Budgeting Tool: YNAB costs $50 annually, which amortizes to just $4.17 per month and claims to save customers on average $600 by month two and $6,000 per year. ❌ Investment Accounts: If you have stock market investments, and want to keep track of them, Personal Capital is a better fit. 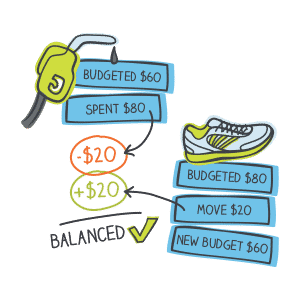 ✅ Easy-To-Navigate Budgeting Tool: Instead of logging into multiple bank accounts, and failing to get a holistic view of your overall finances, YNAB automatically syncs all your accounts in one hub that makes it easy to view how much you are spending on each category. ❌ Debt Free: If you are debt free or don’t struggle with budgeting, YNAB may not be especially valuable to you as it is designed to help count the small change and be disciplined about each dollar spent in the month. ✅ Rules To Spend Less: The four rules that YNAB has created are designed to help you get to a place where you have a balanced monthly budget, plan for large yet infrequent expenses, and spend less than you earn. ❌ Homes Not Listed: If you own a home or your grandparent left you a Picasso art piece, these tangible assets will not be tracked. ✅ Goal Tracking: Your progress towards financial goals is tracked in percentage terms, so you can easily tell when you are on track or need to revisit a goal and take some action. 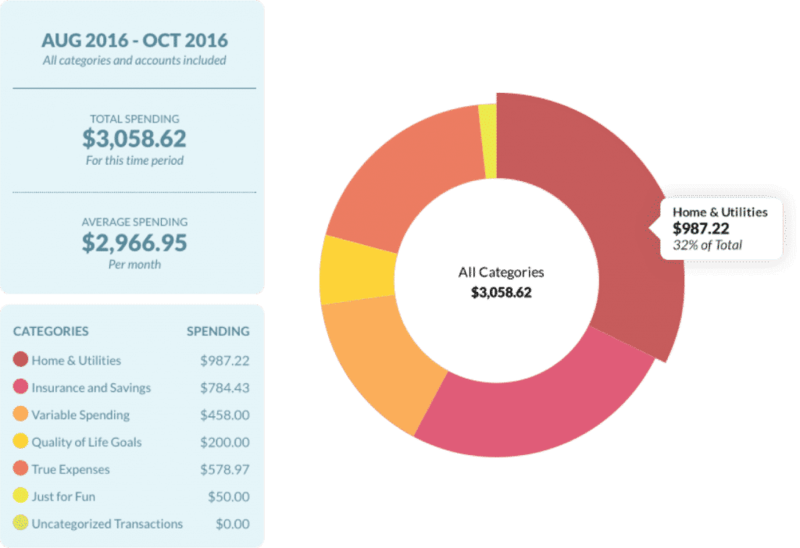 ✅ Dashboard View: Graphs and pie charts make it easy to see where you are spending most of your money, whether on rent or mortgage, food, car payments, or credit card debt, and so on. ✅ Free Trial: YNAB is free for 34 days, so you can sync your bank accounts and get comfortable with budgeting for a full month on a trial basis without risking a penny. ✅ Workshops: Each day, YNAB hosts workshops that help you budget smarter, including paying off debt, reducing credit card debt, and spending more intentionally. 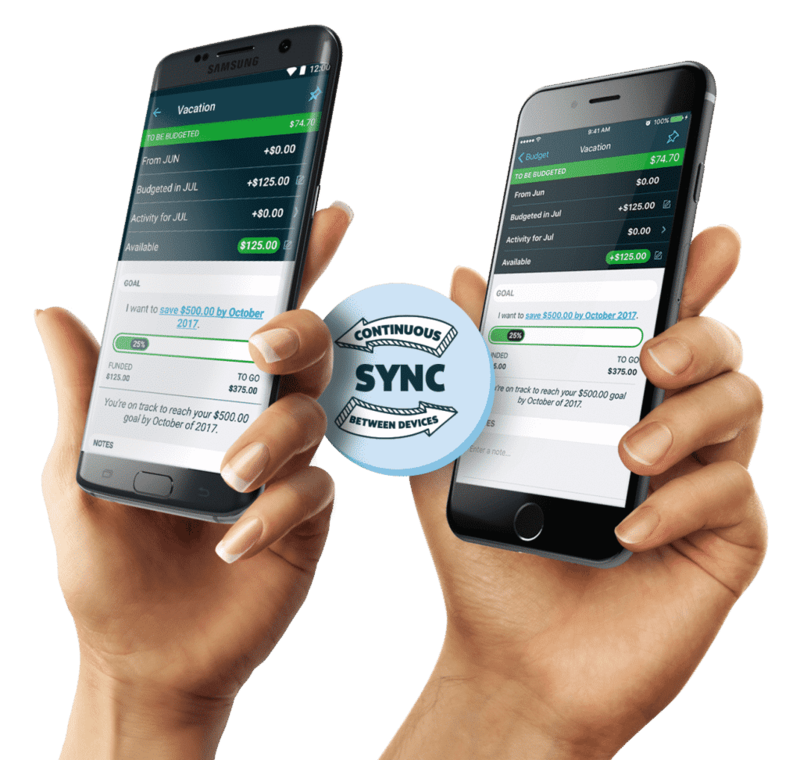 ✅ Syncs Across Devices: YNAB syncs across devices, so you and a partner for example, can view your budget simultaneously and both versions are up to-date. You can access YNAB both online and on-the-go via mobile devices. ✅ Educational Resources: A host of educational resources are available to you, including podcasts, an excellent blog, and a weekly newsletter. ✅ Customer Support: You will find lots of video tutorials that can help you get started and the online workshops feature live instructors, so if you run into any issues you have help virtually on-demand. When you get started with YNAB, you receive a complimentary 30-day guarantee. YNAB is compatible on both MAC and PC computers as well as on iPhones (iOS) and Android phones. If you struggle to budget and find yourself strapped for cash to pay bills regularly, YNAB is a software tool designed to help you be more systematic about your spending. 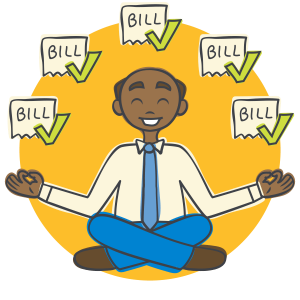 The idea is to allocate all your money ahead of time so you know precisely how much you can spend on each billing category over the course of the month, and to plan ahead for infrequent, yet large and predictable bills, such as vacations, presents, and repairs on a car or home. For the cost of a cup of coffee each month, YNAB claims it can save the average customer as much as $600 by month two and $6,000 over the course of a year, and ultimately help you to spend less than you earn so you are stress-free. As one of the most popular software budgeting tools online, YNAB has a robust platform that includes daily workshops on budgeting smarter, podcasts, a weekly newsletter, and lots of financial tips on its blog. Plus, you get access to live customer support and real people who teach online workshops and who can help answer any questions you may have. The only reason the tool doesn’t get top marks is it doesn’t account for investments, though it is primarily designed for those who struggle with monthly budgets more so than for investors.